Bloomfield Capital, a specialty real estate finance firm headquartered in Birmingham, today announced the addition of an office in Connecticut and two new hires: Dennis Onabajo, vice president, and Anthony Marsala, senior associate. As vice president, Onabajo will create new opportunistic commercial real estate equity and debt investments. He will also establish the firm’s Connecticut office. Onabajo served six years at Fortress Investment Group, a $70 billion diversified global investment manager, where he focused on investing in opportunistic debt and equity real estate transactions. Onabajo received his master’s of science in applied economics from Southern Methodist University. As senior associate, Marsala will be evaluating and underwriting unique real estate opportunities nationwide. Marsala previously worked at Apollo Global Management, a private equity firm headquartered in New York City. At Apollo, Marsala worked on syndicated leveraged loan transactions in healthcare as part of the Us Performing Credit group. He received a bachelor’s degree in finance from Michigan State University. 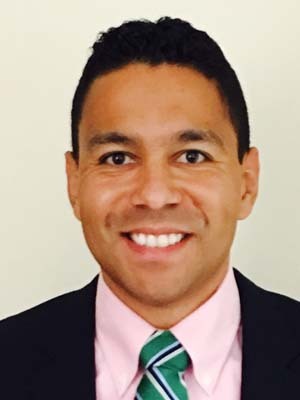 An alumnus of the Michigan State Financial Markets Institute, Marsala continues to mentor the program’s undergraduate scholars in pursuing careers in the capital markets.